My birthday is coming up and I want a new car. Actually I want an old car restored. 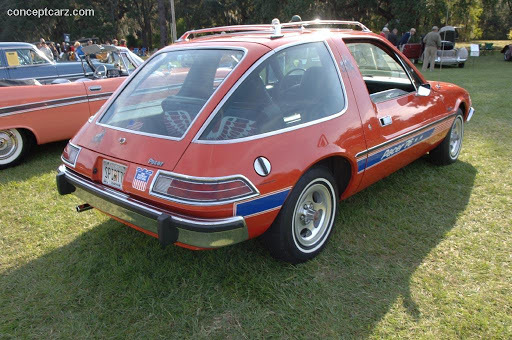 What I really want is an AMC Pacer. I know people think they’re ugly but I want one. When I’m a bit wealthier than I am now I will have one restored for me. Think Count’s Kustoms would be willing to have one in their shop? This entry was posted on July 5, 2013 by AttyEve.